The Scottish Bible Society is a long-established charity that works to ensure that all people can have the Bible in a language they understand, a form they can access and at an affordable price. They distribute Bibles, New Testaments and other Scripture-based materials, in a range of media, in Scotland and throughout the world. Here in Troon, the local Scottish Bible Society Action Group organises Scripture displays at local events, supports visits of Bibleworld Mobile to assist teaching of RME in local primary schools, and raises funds for the charity. 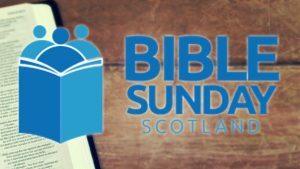 Please visit scottishbiblesociety.org for more information about the Scottish Bible Society and its work.